Dhuruvangal Pathinaaru (2016) – A 21 year old Karthick Naren wielded the microphone for one of the best thrillers Indian cinema has seen in recent memory. Starring Rahman as an ageing cop who is asked to recollect the final (unsolved) case of his career, the movie impresses big time owing to its intricately written screenplay, tremendous attention to detail and an impressively executed climax. The cinematography and musical score fetch further brownie points. Aandavan Kattalai (2016) – If there’s any filmmaker in the Tamil industry who has made a name for himself in the last couple of years by creating splendid cocktails of arthouse and commercial cinema, its M. Manikandan. This one is about a village lad (played by Vijay Sethupathi at his relaxed best!) who is debt-ridden and therefore, decides to illegally migrate to the U.K in search for a job that’d let him earn big bucks. There are plenty of laugh-out-loud moments (Yogi Babu is terrific with his puns and rhymes!) and digs taken at the corrupt/fraudulent ways followed by the undiscerning youth of today. What impresses is the light-hearted treatment of unfavourable situations, the social satire it inadvertently grows to become, and the well-etched central characters. Ritika Singh may not have perfected her lipsync yet however she does a neat job conveying the right set of expressions. 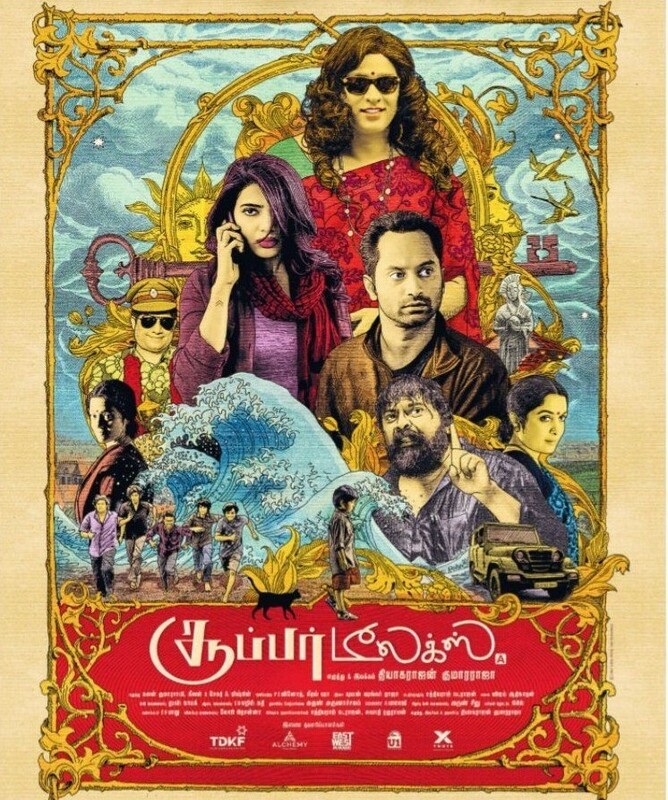 The supporting cast that includes Pooja Devariya, Nasser, George, Vinodhini and Singampuli, is excellent. K’s musical score gels well with the proceedings. Kuttrame Thandanai (2016) – M. Manikandan’s second venture is about a man suffering from tunnel vision. There is a quite a bit of inspiration from Hitchcock’s “Rear Window“, yet this one holds its own firm ground thanks to certain stand-out performances, focused narrative and the inclusion of neo-noir elements. Cinematography by the director himself and musical score by Ilayaraja warrant praise. The versatility of the filmmaker is clearly established as he takes on a completely different genre from his first venture. Thani Oruvan (2015) – One of the most entertaining cat n’ mouse thrillers Tamil cinema has churned out lately. Arvind Swamy as the suave and stylish Siddharth Abhimanyu treaded fresh ground completely ignoring all the usual character traits associated with a menacing antagonist. When was the last time a Tamil movie started off detailing the shrewdness of the villain? Music and BGM by Hip Hop Thamizha also played a significant role adding to the slickness. Mohan Raja’s most dapper film to date. The screenplay is injected with ample doses of pulpiness by novelist duo Suresh-Balakrishnan (Subha). 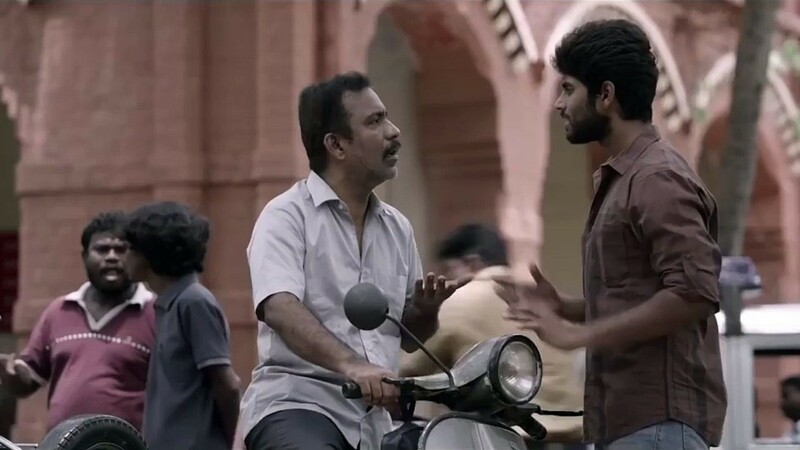 Kirumi (2015) – Manikandan takes on the role of writer in this crime-thriller that paints almost all its characters (including the lead played by Kathir) grey. K’s tunes add to the overall feel of the movie. Reshmi Menon who plays the female lead, Charle who plays informant Prabhakar, G Marimuthu and the rest put on a stellar show. Directed by Anucharan, this flick serves as a decent-enough character study with reference to people on both sides of the law (the keepers and the breakers!). Visaranai (2015) – A spine-chilling experience is what Visaranai is. Based on the novel Lock Up by M. Chandrakumar and written/directed by Vetrimaaran, it was selected as India’s official entry for the Best Foreign Language Film at the 89th Academy Awards. Police brutality has been showcased in all its viciousness in the movie. There wasn’t a single character that felt out-of-place. Samuthirakani was brilliant, and so were the rest. The climax leaves the viewer with a bitter aftertaste. 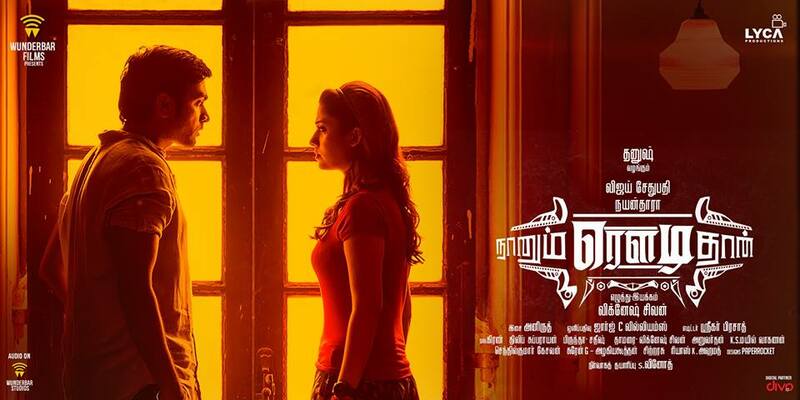 Naanum Rowdy Dhaan (2015) – A black-comedy thriller centered around a woman plotting to kill her dad’s murderer and a bunch of wannabe-thugs who help her in accomplishing it. Sethupathi-Nayantara duo’s onscreen chemistry is delightful and a bunch of supporting actors (Parthiban, Anandaraj, RJ Balaji and co.) add to the hilarity. Vignesh Shivan rises to the occasion the second time around (after 2012’s ‘Podaa Podi’) and succeeds in tickling the funny bone on plenty of occasions. The songs by Anirudh Ravichander were instant chart-busters. Kaaka Muttai (2015) – A story of two slum kids and their antics to procure/taste a pizza is what Kaaka Muttai is all about. It’s M. Manikandan’s debut directorial and that speaks for itself. The kids are endearing and their performances are as level-headed as they can get. Iyshwarya Rajesh, Ramesh Thilak, Yogi Babu and the rest lend great support. The film received multiple accolades on release and was screened at various international film festivals. A fine specimen of exceptional craftsmanship and brilliant writing, here is one movie that is bound to have impressed every single viewer. Uriyadi (2016) – This movie came across as a surprise in many ways..the subtle and realistic stunt choreography (the director Vijay Kumar even mentions a few genuine injuries on set), the unabashed portrayal of violence, and the utterly bold screenplay (depicting the unruly system of caste-based political parties) that throws cliches in a well. It holds good as a buddy film as well as a political thriller with gritty, violent undertones. Song compositions by Masala Coffee are first-rate. 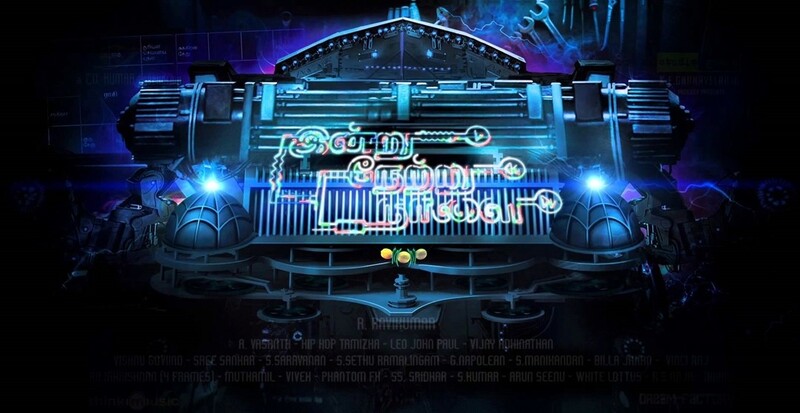 Indru Netru Naalai (2015) – Sci-fi has now become a reliable genre in Tamil cinema. Certain star-backed sci-fi vehicles (falling mostly in the masala genre) had previously failed to rise to the expectations surrounding them (Maattraann, 7aum Arivu to name a few!). Indru Netru Naalai is essentially a low-brow romantic comedy revolving around the element of time-travel. For a low-budget flick, the technical values seemed pretty competent and the screenplay was smartly conceived. Karunakaran is a blast!